Saving coupons for my subscribers only-Please Do NOT share! These saving coupon links are exclusively for subscribers of Natural Health News. Did you know Anti-depressants are the most prescribed medications in the U.S? You've probably heard of healing frequencies. Read the story of Saul and David. Healing frequencies have been used to..
Well, that's some grim news about a disease that's actually reversible! Well, remember Jerry Mathers of Leave it to Beaver fame? 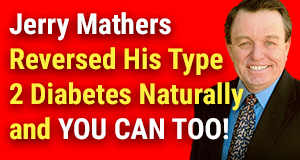 See how he reversed his diabetes without dangerous drugs. Your health depends on it !